This isn’t another post about proverbs, but they are easy to remember, and they neatly summarise what we are about to discuss. Every penny counts because small marginal improvements in return can have a significant impact over the length of an investing career. A penny saved is a penny earned because when you are spending your pension pot in retirement, you won’t know which part of it came from investment returns, and which part came from avoiding unneccessary costs. It’s tempting to feel that cost-saving is cheap and embarrassing whereas outperformance and enhanced returns are heroic and life affirming. In fact they are two sides of the same coin. A pound is a pound is a pound. There’s also conflict of interest to think about. In theory a financial advisor is a great idea for the inexperienced investor. But how can you be sure that you are getting the best advice, rather than the advice which will maximise his fees (in either the short-term or the long-term). Similarly, an experienced trading mentor sounds like a great thing. But paying them to mentor you creates a conflict of interests. Once you are paying someone for a service, they have an interest in keeping you dependent on that service. You need to move in the opposite direction, and become more independent. The less you pay in costs, the more money there will be left for you, and the quicker it will grow. There is evidence that investors are beginning to allocate more money to the cheaper funds – they are voting with their feet. ETF investors in particular appear to be cost driven. However, as of 2014, passive funds made up only 11% of the UK market. DIY investors are also more likely to be cost-focused when compared to advised investors. But the DIY sector made up only 31% of fund buyers in 2014. Vanguard are the poster boys for low-cost investing. They have lots of research to show that low-cost funds beat high-cost ones over time. When ‘survivorship bias’ is taken into account (ie. the funds with poor results that were closed or merged are added back), the results for high-cost funds look even worse. Vanguard sell passive index trackers, but the research stacks up for active funds, too. This is partly down to the large number of “active funds” that are really closet index trackers. Of course, this is pretty obvious – the universe of funds is going to be pretty close to the market itself, so the lower the fees, the closer you should be to market performance. The same goes for investing outside funds. Even if you don’t have the brains, the skills – or most likely the temperament – to add alpha, if you keep your costs down, you will do better than if you don’t. Mutual fund managers have only become more and more active in recent years. This may be because performance figures are more easily obtainable these days, and under-performing a benchmark for a single year (or even a quarter!) can lead to outflows. Whatever the reason, increased turnover means increased transaction costs means lower performance. Note that this is not an argument about passive versus active investing. Passive investments tend to be lower cost, partly because they are simpler to operate, and partly because of higher stock turnover and marketing costs. But whatever your strategy, your returns will be higher if your costs are lower (all things being equal). In the markets, there is a loser for every winner. Investors in aggregate will earn the return of the stock market, minus their costs. There are two kinds of costs – one-off (up-front) and recurring. But recurring costs will hurt you the most in the long run. Because it is a long run. 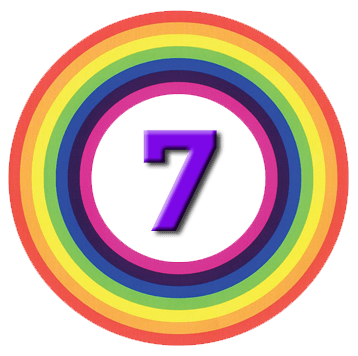 Let’s take a look at the investing careers of our 7 Circles investors. or £42K (around where higher rate tax kicks in). We assume that they start to invest at age 25, so their investment careers (in the accumulation phase at least – we’ll come to retirement later) will last 30 or 40 years. In today’s low growth environment, we assume real investment returns of between 2% and 4% pa.
Alfie & Amelia need to save a pot of £910K (£25K pa @ 4% withdrawals, plus a house at £272K and an emergency fund of £13K) over 40 years. With 4% annual growth, annual contributions average £10K. Kai & Katie need to save £1,343K over 30 years. With 4% annual growth, average contributions are £25K per year. These pension pot shortfalls and contribution increases understate the lifetime impact of higher costs and charges, since they only look at accumulation – building up a pension pot. The same charges are likely to apply in decumulation (retirement). Many people today will be in retirement for 20 or 30 years, and a typical investment career might begin at 25 and end at 85 – a total of 60 years. The true impact of an extra 1% pa in charges will be close to double the numbers above. There are a number of areas in which an investor can save money. I also suffer from a terrible inertia problem of holding onto accounts that were once competitive, and would be painful and expensive to migrate to the currently cheapest platform. It’s not the end of the world to have two or three ISAs and two or three SIPPs, but it’s definitely something to keep an eye on. If you do have multiple accounts, you should always look to add new money to the cheapest bucket, unless you’ve deliberately chosen to keep multiple accounts of similar size. So what is worth paying for, if anything? And not a lot else, really. 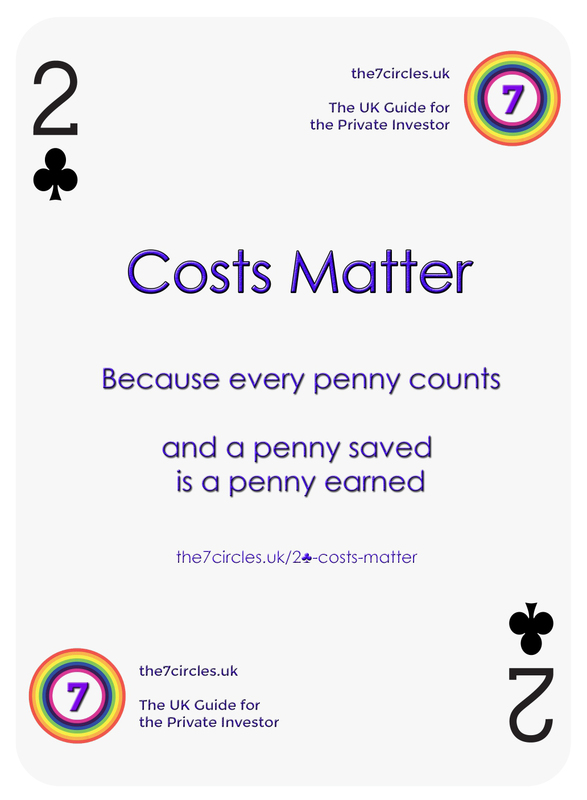 So remember – costs matter, because every penny counts and a penny saved is a penny earned.